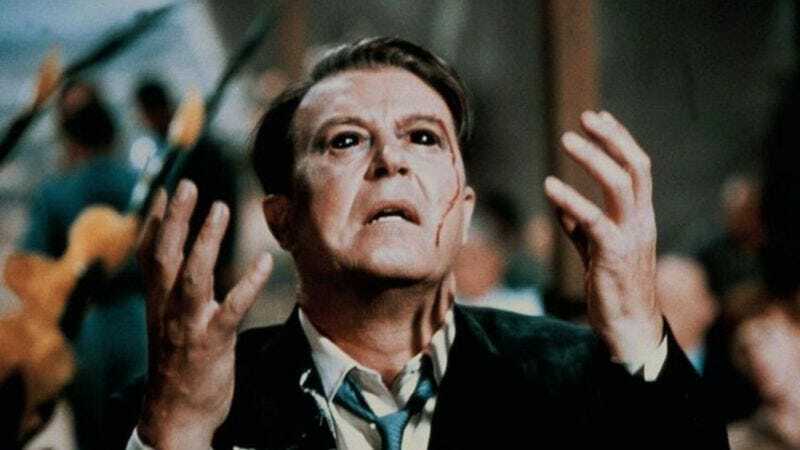 Ray Milland gets hoisted high on his own petard in two vintage thrillers produced and directed by Roger Corman. In The Premature Burial (1962) and “X”: The Man With The X-Ray Eyes (1963)—both of which arrived on Blu-ray last week courtesy of Kino Lorber—Oscar-winner Milland plays men forced to lie in the beds they’ve made. This is literally true in The Premature Burial, in which Milland is Guy Carrell, a prosperous painter whose very particular phobia of being placed in the ground before his time haunts his every waking moment. (Oh mother, he can feel the soil falling over his head). In response, he creates a tricked-out, personalized mausoleum specially designed with escape hatches in the event that he’s buried alive—but you know what they say about the best laid plans of mice and men. 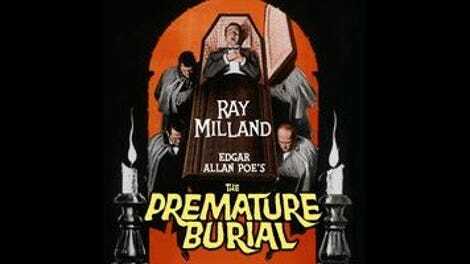 While not quite as visually sumptuous as some of the other Edgar Allan Poe adaptations signed by Corman in his heyday, The Premature Burial still comes steeped in the kind of thick, foggy atmosphere that can make even a minor horror movie feel like a late-night classic. And Milland, who was pinch-hitting for Corman’s usual star, Vincent Price, makes for a credible and desperate cataleptic, popping his eyeballs in fear at the claustrophobic fantasies he’s worked up in his head. Where Guy is ultimately a victim of his own timidity, the protagonist—the accomplished Dr. James Xavier—is bold to the point of megalomania. When his experiments in extending the capacities of human sight leave him with X-ray perception, he revels in the privilege (as does Corman, who makes sure to have his antihero peep through the outwear of various attractive women). The pieces are in place for a naughty little morality tale, but Corman, who commissioned a script by Ray Russell (who also co-wrote The Premature Burial) and Robert Dillon, opts instead for something more visionary, depicting Xavier’s point of view as a swirl of flared colors and abstract shapes that fill the screen at regular intervals (and anticipate the acid-trip imagery of Corman’s productions in the second half of the decade). The theme of hubris is expressed in the visual idea that the world, once truly seen, is overwhelming to the point of madness, and the film’s final scenes, which brings Xavier to a revival tent, slyly introduces a cosmic dimension to the story and sets up the great, twisted grace note of the very end. And once again, Milland is excellent, modulating the character’s transformation from garden-variety mad scientist to superpowered peeping Tom to existentially terrorized prophet with hammy aplomb. The Premature Burial and “X”: The Man With The X-Ray Eyes are available on Blu-ray from Kino Lorber.